Diet is a very important part of assisting your body in eliminating Candida albicans (or yeast). The following recommendations have been compiled from recent research in the field and are made as a guide to assist you in making helpful food choices for yourself. The more completely and closely the guidelines are observed, the more quickly you will see results and experience improvements in your health. How long you will need to limit you diet in this way will depend on the length of time this has been an underlying problem with you, the severity of your symptoms, and your overall health status. Many people find after eating strictly within the guidelines for 2-4 weeks, symptoms begin to disappear and they can SLOWLY incorporate whole foods from the restricted list back into their diets. Recurrence of your symptoms and your overall sense of well-being seem to be useful general guidelines in assessing the rate at which foods may or may not be introduced. Whatever approach you choose, it’s important to remember when returning food to your diet, that a WHOLE foods diet is what you’re aiming for. Remember, some foods like highly refined and processed products or those containing chemical additives and preservatives (such as white sugar, white flour, soda pop, coffee, tea, alcohol, chocolate, etc.) you’re simply better off without! When reintroducing foods into your diet you should also take care not to emphasize those that feed the yeast or stress your immune system for a considerable period of time, even though you may be craving those foods and they may not produce noticeable symptoms right away. The Candida Diet is probably the most involved step on your road to recovery, and it will probably require a major shift in your shopping and eating habits but the long term benefits far outweigh the effort required to conform to the diet. As symptoms disappear the carbohydrate total will gradually increase! 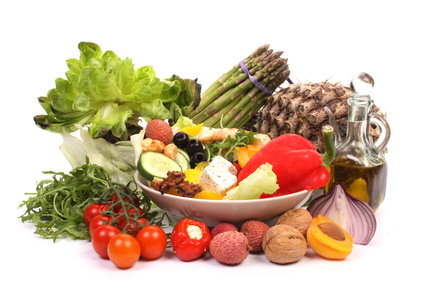 Foods low in carbohydrates includes protein foods such as meat, turkey, chicken, fish, shellfish, and some nuts. Most vegetables, especially green and leafy ones, are also low in carbohydrates and can be used liberally in your diet. See the Foods To Cope With Candida list for more specific suggestions. Bakers yeast, Brewers yeast, Engevita, Torula, “Good-tasting”, and any other types of yeast. Baked goods raised with yeast such as breads, rolls, crackers, bagels, coffee cakes, pastries. All edible fungi including mushrooms, morels, truffles, etc also increase yeast burden. These nuts usually have high mold contamination which again overloads the body yeast burden. These beverages create an additional burden for the body’s already over-taxed stress-coping mechanisms. These include: regular coffee, instant coffee, decaffeinated coffee and all types of black tea (including fruit flavored ones). Herbal teas are generally recommended except in extreme cases. Both dried herbs and herbal teas do contain a small amount of mold as a result of the drying process, however, unless you are sensitive to them, we recommend their use in moderation. Roquefort and other “molded” cheeses add to the yeast overload. Processed cheese such as cheese slices, Velveeta, cheese whiz, cream cheese, cheese snacks, Kraft dinner, etc… are NOT supportive to your health at any time and should be avoided. See the Restricted List for other Dairy products. Canned, bottled, packaged, boxed, and other processed foods usually contain yeast, refined sugar, refined “enriched” flour, preservatives, chemicals, colouring, etc.. and are not recommended as part of a healthy diet. Most cheeses (the exception are those cheeses lower in milk lactose which may not provoke sensitivities in some people. These include Monteray jack, mozarella, sharp Cheddar (white), Colby, Swiss, and Provolone. Skim yogurt is included for some people because of the helpful bacteria it contains. REMINDER: If foods on the restricted list are not food sensitivities for you they should still only be used infrequently and in small amounts. Fruits are generally high in fructose, a natural sugar, and are subsequently high in carbohydrates. Fresh fruit and their juices (freshly squeezed juice where possible) that are not food sensitivities for you may be consumed occasionally in small amounts, as long as the recommended daily carbohydrate total is not exceeded. The sugar content will also feed the yeast and therefore should be minimized, if not eliminated, for the initial two week period. Because fat metabolism is often impaired when Candida is a problem, fats and oils should be carefully tested and consumed in minimal amounts (e.g. 2 tablespoons per day. Vegetable oils that have been cold-pressed without heat (usually available in health food stores) are your best choices. Some research indicates that sesame and corn oil (cold-pressed) are the most useful in the treatment of Candida albicans. Other oils to test include: safflower, sunflower, linseed, olive, almond etc… Some researchers also recommend adding a 400IU capsule of Vitamin E to a bottle of cold-pressed oil as soon as it is opened to reduce oxidation. All oils should be stored in a refrigerator once opened. If you are not sensitive to butter, a useful idea is to mix the unsalted butter with a good vegetable oil (like sesame, corn, safflower, etc.) in a ratio of 1:1 (e.g. mix ½ a cup butter with ½ a cup oil). You can do this by hand, with a rotary mixer, or a blender. This mixture will be spreadable soft right from the refrigerator and should be stored in the fridge. You may also add garlic or herbs (like dill, tarragon, chives, etc.) for a more interesting spread. Mention should be made that many vitamin and mineral supplements today (especially multiple vitamin/minerals, B-Complex vitamins and selenium products) usually contain yeast or sugar unless specifically labeled yeast-free and sugar-free. These would be better avoided until the Candida is eliminated as they add to the yeast burden and/or feed the yeast. A final reminder that this is a temporary condition that CAN be brought under control with persistence and patient care!!! Finally, it is important to drink at least eight glasses of water a day. Ordinary tap water should be avoided and bottled spring water or distilled water used instead. Green tea can also provide many health benefits and may be used freely. Whether or not your health problems are related to yeast, you will need to exercise if you want to enjoy good health. Exercise will increase your energy level, mental alertness and feeling of well-being. Furthermore, studies have shown that people who exercise develop fewer illnesses and are less apt to have accidents. Aerobic exercise, which requires the use of oxygen to produce energy, are especially effective. Recommended aerobic exercises include walking, running, aerobic dance, swimming, cross-country skiing, bicycling and rowing. If you want to look good, feel good and overcome health problems of any sort, you’ll need to exercise regularly. Choose a wide variety from the following list!